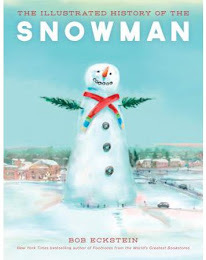 EAST SUSSEX, ENGLAND – Celebrity Dakota Blue Richards has angered a community by flattening a neighborhood snowman. The 13-year-old actress, who appeared with Daniel Craig and Nicole Kidman in last year's The Golden Compass kicked down a beloved snow sculpture, proving again that Hollywood stars think they're all that. 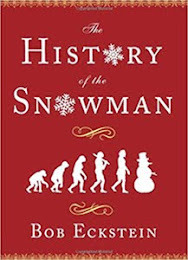 Abe Restato, a newsagent who helped build the snowman, was baffled as to why anyone would deliberately destroy his hard work. "We put our heart and soul into that snowman. Now I don't even want her autograph. She went from cool to very uncool in a very short space of time." Neighbor John Conrad added, "It seems kids today can't help being inconsiderate yobs even if they are film stars." 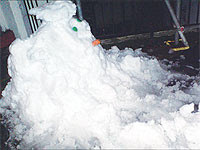 Richards' publicist released an official statement insisting the teenager did not mean to offend anyone, "It was a game that obviously somewhere along the way went awry" and insinuated the snowman probably would not last forever. Later CNN reported that the rude gesture "was not nice." Meanwhile, bloggers are calling snowman-maker Abe Restato "a drama queen."